NASHUA, N.H. -- Ohio Gov. John Kasich said Tuesday that those outraged by the decision not to indict a Cleveland police officer for the shooting death of 12-year-old Tamir Rice have a right to be heard, but urged the protesters to remain peaceful. A grand jury on Monday declined to indict the officer who fatally shot Rice, a boy who was playing with a toy gun in Cleveland at the time of his death. The shooting in the fall of 2014 was captured on surveillance video and broadcast across the country, igniting outrage and some calls for police reforms. The Justice Department is already reviewing whether there were any civil rights violations involved in the case. 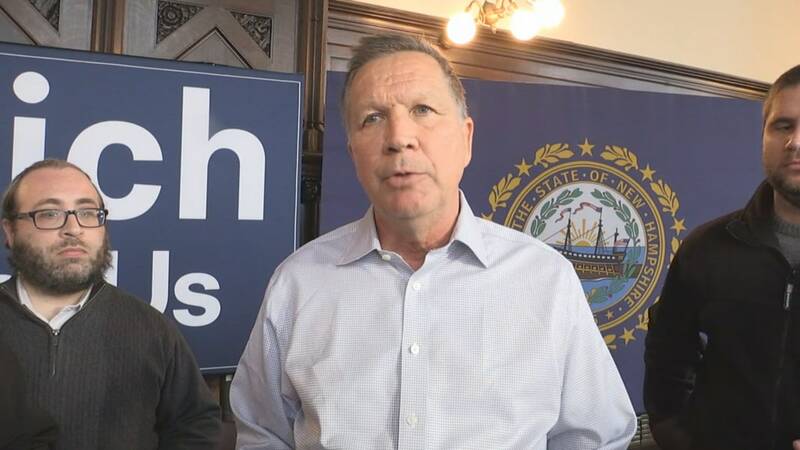 While Kasich is campaigning across New Hampshire, a state he sees as critical in his quest for the White House, he said he’s been in constant phone contact with officials back in Ohio about the fallout from the case.